There 30 Crossfit quote cards will motivate you to keep progressing, stay hungry and train hard! We all need motivation to psych us up every now and again so here are 30 Crossfit cards for you to use and share with your friends to help them out as well. From cold early mornings to having tired, sore bodies, it can sometimes be difficult to get yourself out of bed and into the Box – but you know it’s always worth it! Check out these phrases and quotes, see which ones work for you, and then keep using them again and again to inspire your performances. 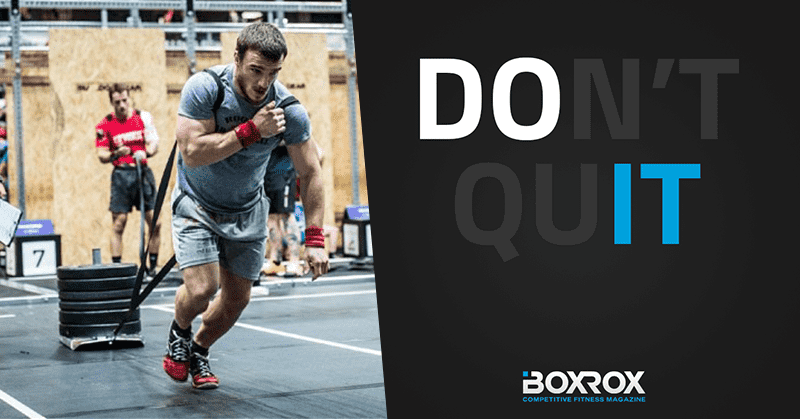 Anyone can train when they’re in the right mood and feeling fit and fresh, but it takes guts and character to battle through fatigue and get each WOD done anyway.